Transparent parts have their special characteristics and functionality. The poly-carbonate injection molding will inevitably be used for auto part. 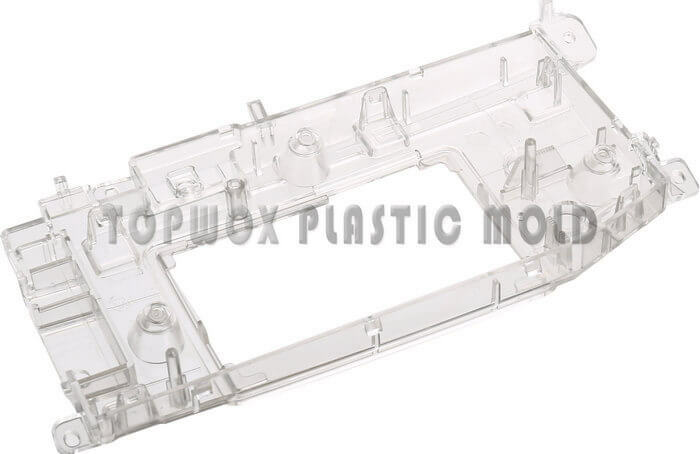 When injection molding, we often encounter some thick-walled transparent injection molded parts. For performance reasons, these plastic parts are made of PC. one is that the surface shrinks, and the other is the air bubbles inside the product. As to the thicker wall thickness, deformation is not the main problem. The main reason is that the wall thickness is too thick to lead to product shrinks. In this process, more melt must be injected to prevent shrinkage, and a higher mold temperature is required to shrink the product as a whole (opaque products require to reduce the mold temperature without worrying about the problem of vacuum bubbles). 1 Increase the number of gates on the mold and to increase the size of the cold slug well. 2 Slow down the injection speed, increase the back pressure and barrel temperature, increase the holding pressure and time, extend the cooling time, and raise the mold temperature. There are two reasons for the bubbles: one is the gas in the melt, and the other is the vacuum bubble generated by the shrinkage. The gas inside the melt is mostly due to the air and a small amount of plastic are decomposed. The solution is to fully dry the raw materials; while the vacuum bubble is more difficult to solve, the mold and the molding process need to be better.